The Next Web caught up with Wikipedia co-founder Jimmy Wales a couple of months back, when he revealed some pretty interesting numbers: It recently exceeded 420m unique monthly visitors, and there are now over 20 million articles on Wikipedia across almost 300 languages. And now, the online encyclopaedia is set to launch Monmouthpedia, which will be its first town-specific venture. 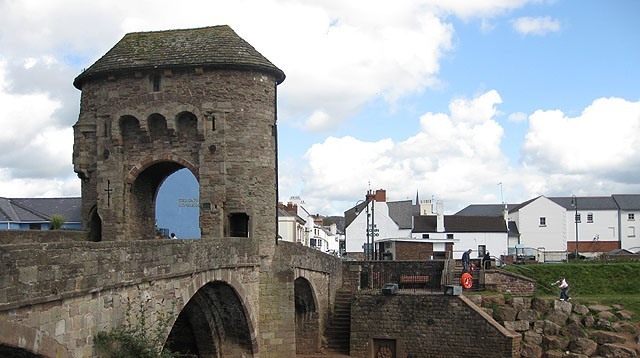 As the BBC reports, Wikipedia is looking to get local people to contribute articles, photos and relevant content relating to life in Monmouth, a town in southeast Wales. Users will be able to scan barcodes at key points of interest and receive information about the landmark directly on their mobile. This is similar to QRpedia, an initiative we reported on earlier this year, which emerged from a partnership between the Derby Museum and Gallery in England, and local Wikimedia contributors. The combination of QRpedia and Wikipedia’s API enables museums to produce a multilingual experience for visitors. The idea is that an exhibit has a QR code placed next to it, and users simply scan the code and they are taken to the relevant Wikipedia page in their language. As for Monmouthpedia, it will be made available in a number of languages, including Welsh, and will let people take a virtual tour of the town. Wikipedia is hoping that local people will be willing to write articles and donate photographs, whilst also recommending reference material. “There are a lot of opportunities for community involvement including teaching and learning of IT skills, local history, natural history, languages and people of different ages working together,” said a Wikipedia spokesman. Monmouth is located in southeast Wales close to the border with England, and is a constituent town of the county of Monmouthshire. It seems that Monmouth’s long history is a key reason to Wikipedia’s focus on this particular town, with excavations carried out by the Monmouth Archaeological Society on key sites across the town unearthing a wealth of information about the early history of the area. Indeed, the Council for British Archaeology (CBA) designated Monmouth as one of the top ten towns in the UK for archaeology. It’s not clear yet whether the interface for Monmouthpedia will mimic Wikipedia’s, which has been criticized in the past for being too complicated for the average person to edit. Jimmy Wales said during our interview in October that Wikipedia would, at some point, be changing to a what-you-see-is-what-you-get (WYSIWYG) interface, and it seems that this would be the best option for Monmouthpedia if it’s to get as many locals on board as possible.